Classic sauce of butter, lemon and fresh parsley goes perfect with any fish. I try to eat fish twice a week. For a quick healthy dinner on a busy weeknight, this is simple and delicious. Spray the bottom of a baking dish lightly with cooking spray. Place the fish on top and season with salt and pepper. Pour the lemon butter mixture on the fish and top with fresh parsley. Just made this with cod. Delicious! Didn’t change a thing. Can’t wait to try it on other fish. Thank you! can I freeze this after cooking for another day? I’m not too sure I never froze cooked fish. Made this for dinner last night. Super easy and delicious! I will definitely be making this on a regular basis!! My kitchen smell is amazing! Deliciosos!! Hi Gina, I never cook fish, and really don’t like it much, but we need to eat healthier around here. I asked the butcher about what type of fish is very LIGHT tasting and NOT smelly whatsoever. I’ll have to ask him again which ones he recommended but am open to your suggestions as well.??? I remember though that he told me not to use talapia because it was a bottom feeder. What are your thoughts?….and what could I use instead? Also, I’d rather not bake this in my house. Do you think cooking it on the BBQ grill would work, if so would I wrap it in foil? And lastly, can you suggest other recipes on your site that you think I would like based on what I’ve written? I don’t like salmon at all. 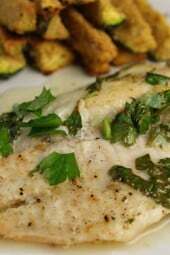 I’ve made this with tilapia for many years and LOVED it but I’m gonna try it with flounder!!! Hope it all comes out well!! This is amazing! Before tasting it I thought it may need some parmesan cheese on it too…definitely didn't. 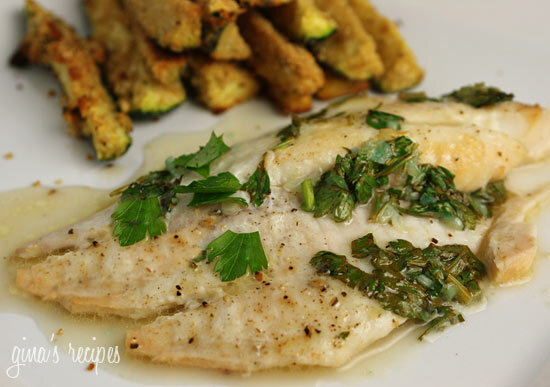 My new favorite tilapia recipe!! I am new to Skinnytaste and this was the first recipe that I've tried. I made it last night using mangrove snapper that we'd caught over the summer. One word, delicious! There was a little left over, so having fish tacos for lunch today 🙂 Thanks Gina, you rock! I've made this 3 times now! This is on our weekly menu now. Thanks Gina! We are not big fans of parsley – do you think fresh basil would substitute well? This has become my favorite fish dish. I have made it about once a week for the past month. I've added a few things along the way. I season some asparagus with onion powder, garlic powder, salt and pepper and a little olive oil and i lay that on the pan first along with sliced mushrooms and onions and then i put the fish on top of that and pur the butter garlic sauce on top! 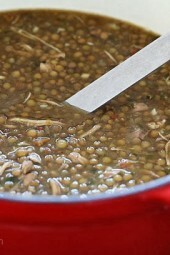 I cook it for about 20 mins….it is delish! And then you have the asparagus, onion and mushroom as a side dish…really good! Thanks for the recipe! how long would you cook this if you used chicken instead??? I've been trying to incorporate more fish into the weekly menus. This was so good, easy to prepare for a delicious, quick and healthy after work meal. I've been looking for healthy dish as meal prep for the wk for work, can I use this dish as meal prep? REALLY yummy. I am sensitive to fish flavors and I loved this. I doubled the garlic and used thawed frozen fillets. I also didn't have parsley on hand so I sprinkled some herbes de provence. Served with steamed carrots and broccoli and a kale and apple salad. The carrots or broccoli scooped up with a garlic fish bite was really really good. This would be good with garlic rice if you aren't watching carbs. I just made this tonight without the butter and salt and it still came out delicious! Very yummy! Save a step by adding the butter without melting along with the rest of the ingredients directly into the baking dish and put it in the oven. After 5 minutes take it out. The butter will be melted and you can then mix the ingredients and make sure the filets are well coated. This technique saves washing the extra pan. Hi do I need to cover with foil? you've done it again Gina! I was bored making my white fish the same old boring way & when my hubby got tilapia I was all set to use bread crumbs AGAIN. this recipe is amazing! I can't wait to try it on flounder and grouper and definitely tilapia again! thanks! tried it and it was great! thanks for sharing! Just made this with a side of brown rice and broccoli. The fish was good, i threw it in the oven wrapped in a foil packet. it was so flaky and moist. i also added some dill to jazz it up. Has anyone tried this with cod? I have never made fish…ever. Tried this tonight with the broccoli orzo as a side dish and both were delicious! Cooking fish is so much easier than chicken…I can't wait to cook it again! Just made this tilapia, and all I can say is, it is the best tasting tilapia I have ever made. Thank you, thank you, thank you. It is baking. I cook a lot and needed a different twist on the fish. Yes- you can substitute dry but use 1/3 of what the recipe calls for. So for this recipe you would use about 1 and 1/4 tsp of the dried. Hope this helps! I don't have fresh parsley, can I substitute dry parsley. Has anyone done this, HELP!! Made this tonight with some mashed cauliflower, steamed broccoli, and sliced tomatos. WOW! It was soooo damn good. Highly recommend this recipe!! Gina you are my hero!!! Just found your site and Im already in love 🙂 When cooking fish or fried foods,….I put a cup of vinegar on the stove along with cups ( of vinegar) all through my home to eliminate odor and it Works every time. Can't wait to try this dish and 100 others!!!!!! I'm making Talapia tonight and I was looking for something easy % different. This sounds good. I usually bread it & bake it. But I don't need all tat bread. I've been a lifetime member on W.W for many yrs(I'm 85.) but I just got a laptop about a yr ago and just discovered this site. I've made a few recipes and we loved everything. I'm looking forword to this fish'Thank you Gina . I just love this dish! It's delicious,and so easy and fast to cook, thank you for the recipe. Oh my gosh, this was so good! Totally going to make it again! I love this dish. I make it pretty often but sometimes it turns green. I'm thinking it's because of the garlic and lemon juice but I'm not sure. Anyone have any ideals as to why this happens? Does anyone have suggestions for freezing and saving this dish? I usually don't cook for more than 2 people so I need a way to save this meal. I'm writing from Guadalajara, Mexico! I made this recipe today, and I love it it was delicious! I served rice and green beans (got that recipe from here too!) as side dishes. My girls loved the green beans and the fish was my favorite. Thanks! what did you all serve as a side dish with the fish?? Love the comments! I made this and it was really good. I'm not a great cook so my husband was a little worried but he fived me with a mouth full of fish, so I guess it was a winner. I really enjoyed it. I made this for dinner tonight and even my fish-hating husband loved it! I want to know what the side item with it is. I'm making Tilapia tonight and that look great. Anyone know? If you use frozen fish just make sure it's thawed. The vegetable in the photo is the baked zucchini sticks. Would you mind posting the recipe for the delish looking zucchini in the background? 🙂 Thanks! This was delish…made it last night & the whole family loved it. Very quick & simple :). Thanks for sharing. Could I use Frozen fish or does it need to be fresh fish?? I just made this tonight with cous cous and some frozen veggies. It was fabulous! 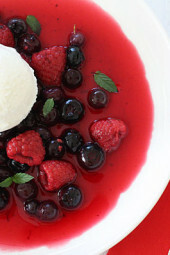 2 for 2 this week on awesome recipes from this site! Just made this tonight! Substituted sole for tilapia and it was AMAZING. Thank you so much for these scrumptious recipes! I made this great recipe tonight-had some fresh fish my husband had caught, and it was marvelous! 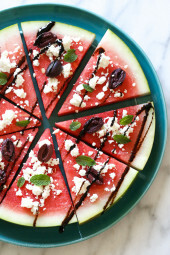 Thanks for such a great recipe-you make eating healthy fun, good and easy! Thanks, Gina! What is the side dish shown in the pic? 🙂 Do you have a recipe for it? Oh that is great Bianca!! It's my pleasure! I did all but lick my plate after dinner tonight! Quick, simple and oh so flavorful! I try to incorporate fish into my diet as often as possible; generally when my husband is working nights. This is will be something I make again and again. Served with asparagus; but saved enough to make the steamed asparagus w/ poached egg from this blog for breakfast tomorrow! We had this tonight. I used flounder since that is what I had on hand. It was fantastic and so quick to put together. Even my kids raved about it. This will definitely be a staple for our family and with fresh parsley growing in the garden, it will be one more great recipe to use with it. I made this tonight and it is really good and so fast. It was in the oven in less than 5 minutes. My husband and I loved this! Made the scallion cilantro rice as a side. Another excellent simple recipe – thanks! Our grocery store was out of tilapia, and I used flounder instead. So freaking good (and easy!). We made this the other night and it tasted great and was very easy! We topped the fish with about 2T of capers in addition to the parsley, tasted almost like a fish version of chicken piccata! My kids even ate it, a success! Yum! This. Is. Simply. Amazing. Thanks, Gina! To say that I love all of your recipes would be an understatement! I made this one last week…it was delicious! I think maybe the best fish recipe that I've tried. Thanks for posting this…I love your blog! I made this tonight for dinner and it was delicious. The only change I made was doubling the garlic (because I love it and figured some would slide off the fish into the dish when serving). I microwaved an artichoke and made the WW light aioli (http://www.weightwatchers.com/food/rcp/index.aspx?recipeid=218981) to serve with both the artichokes and fish. GREAT meal! Tried this tonight and it was a hit. I used halibut since I had some in the freezer. Two of my kids said "I usually don't like fish, but I LIKE this one!" It came out great! But for some reason my garlic when it was hit with the lemon juice turned lime green. But the dish was fantastic. Started the New Year off hoping to loose weight.. decided to make this meal with a side of rice.. overall I enjoyed it very much and so did my wife .. it was her first time having fish.. I had really strong onions in the side dish. It will cover anything. This was so yummy! It was my first time making fish ever, and it was easy and very tasty! i used Flounder ( being a fish novice) and my house smelled like fish for days ….so im going to try the tilapia next! My new favorite site! if you use land o lakes light butter with canola oil the dish is only 4 pts total! This was wonderful! I made it for dinner last night and it was a big hit! I also made Ramen Noodles (The Shrimp Flavor) as a side dish and it worked really well with the fish.